I have to say: it was a great first day back. The first day back from spring break is routinely lethargic. The kids come back in, hungover from late night binges of TV and sugary snacks, still half-asleep as they sit in class, trying to participate, but oftentimes, unable to combat their residual fatigue. And so, when we return from breaks, I find it best to ease into things, to not push them too hard, and to give them some time to get back into the swing of things. In fact, I always think that the first day back is a great time for a pre-assessment. While it may sound kind of silly, a pre-assessment is an invaluable tool. Not only does it provide the kids a chance to showcase what they already know, but it provides you with some great information on where to take you upcoming sequence of lessons. And best of all, it’s great evidence of growth later on. I know what you may be thinking: starting school with a pre-assessment is no way to get the kids excited about an upcoming unit. And you’re right. Many pre-assessments can be disengaging, off-putting, and potentially damaging to building momentum for a unit. But not if you do them right. Pre-assessment doesn’t have to be painful. It doesn’t have to be a mundane, modified copy of your post-test. Instead, a pre-assessment can be an exciting way to get kids to ask questions, make inferences, and even learn something by talking themselves through what they already know. Try some of these tricks to make your pre-assessments a little more engaging, meanwhile giving you some actionable data! 1. Have them create their own thinking map. One of the biggest mistakes a teacher can make when conducting a pre-assessment is creating a class-wide K-W-L chart. While there is value in discussing what you think you know and what you wonder, creating a class-wide view of this before the kids have gotten a chance to think on their own is impersonal and even invalidating for many students. Instead, give them the opportunity to create their own first. It’ll give you information, not only on what they know, but on how readily they can recall information on a topic. 2. Allow them to advocate for their own knowledge. Today, I actually had the kids show what they knew by creating a heat map, of sorts, on our wall. I posted a bunch of terms related to literary and poetic devices, asking them to star, check, or question words depending on their level of knowledge. It gave me some great informal data about class-wide understandings (as well as individual student understandings) and served as a vocabulary bank for student goal-setting and for students’ personal thinking maps. A student assesses her current understanding using the rubrics. 3. Let them interact with your rubrics. If there’s one thing I’ve learned, it’s that rubrics are useless when the kids don’t know how to use them. Part of today’s pre-assessment in math was simply getting to know the rubric. By allowing them to read the rubrics on their own (and rate themselves in the process), I was able to gauge very easily what they were coming to the table with. I was even a bit surprised with just how honest they were. There was neither shame nor anxiety; just a positive attitude about what was to come. 4. Take a second to re-explain the learning process to them. I find that talking through the process of using a learning tool like a rubric is extremely supportive of the learning process, and helps them see that assessment tools are only there to support them, not lock them down. 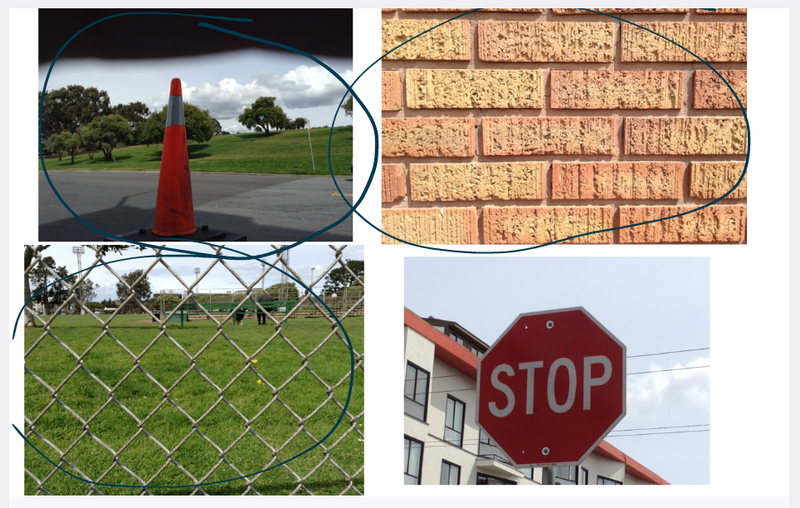 Today, as part of our geometry walk, students were able to take pictures of various shapes and figures, and explain their findings using Educreations. 5. Allow them to show their understanding in a way that’s comfortable for them. A lot of kids are more comfortable showing and telling than they are writing and testing. Try having them make videos to show what they know. It makes for a calm learning environment and a low-stakes method of ascertaining some excellent information on your students’ prerequisite knowledge. Above all else, it’s important to remember that assessment is there to provide information, not just to make kids aware of their misconceptions. While an understanding of one’s mistakes paves the way for meaningful reflection, thoughtfully crafted assessment provides information to the teacher, actionable steps for the students, and may even teach them something about the content in the process! That’s certainly what happened today! Prev Is Discrimination Ever Okay? Provoking, engaging and stimulating-as usual! Thanks, Anne! Are you a teacher?